Still struggling to get Flux to work with ReactRouter. The only thing I found useful is this article. Maybe the question is: do we need a router and a Flux store? It seems like we only need one of them. You can probably skip the first 7 minutes or so. Jing’s presentation starting at 10minutes on Flux is amazing! It is a great idea and is way smaller than Angular. However, after sometime, I feel like it was designed to present data, not editing data. It is extremely painful to change a deeply nested component, and ask the root component to respond to it. Here are some interesting ideas on how to solve the problem. The third one is this thing called the flux system architecture , which I don’t quite understand. It seems to be the same as the event bus system, but I am not 100% sure. 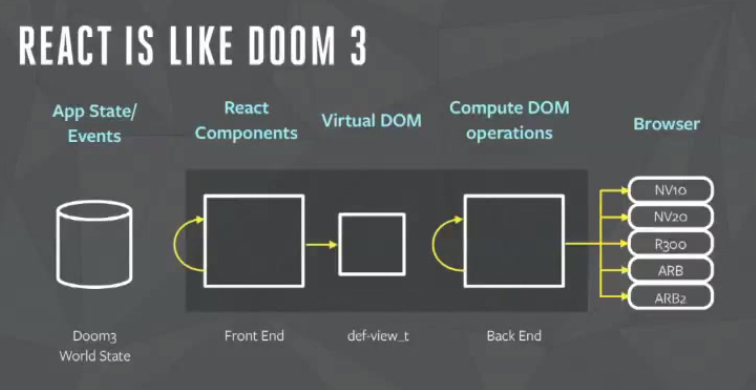 “It works well with React because the objects are passed directly into React views for consumption, where they cannot be modified by the views themselves. When a view wants to change a piece of data, (perhaps based on user input), the view informs the store that something has changed, which will validate the input and then propagate the change out to the rest of the application. 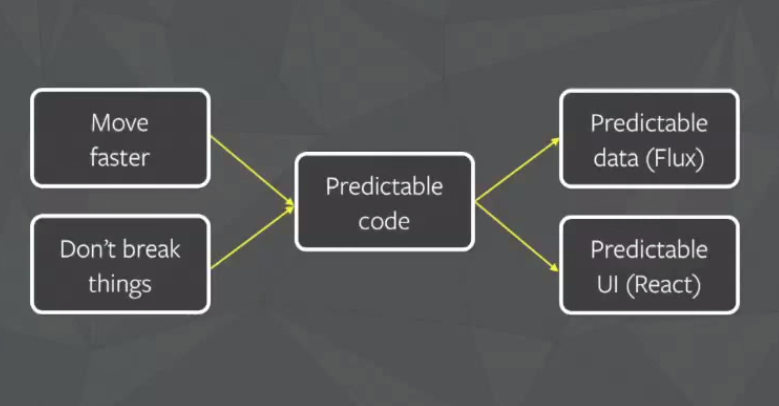 In this way, you never worry about incremental state mutation, or incremental updates, and every change that happens to the system (whether it comes from user input, an ajax response from the server, or anything else) goes through the exact same flow (which handles validation, batching, persisting, etc). We think of Flux as complementary to React. When you build your views in React, something needs to track the data and interact with the server (fetching more data or performing writes). 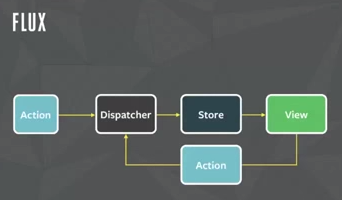 Flux prescribes how to structure those pieces in a way that makes it easy to reason about the data flow, even when the application needs are inherently complicated. As one example, we’ve found that using models tends to push application logic into the view layer, rather than keeping it close to the data layer. With centralized stores, all changes are expressed by the view as the intent to take an action. A payload sent to the stores could indicate that the user wants to mark a message as read. The stores then internally make all the changes that the action implies – marking the message as read and decrementing the unread count on the thread – rather than making the view know about that bookkeeping.